The Crash Prevention Network’s Safe Mobile Bus will soon be taking to area schools, local churches and community events as an educational tool for current and future drivers in the hopes that they will make the Right Choice when it comes to highway safety! The single most important component of our program is that we intend that ALL of these resources will be made available to the schools (churches, civic organizations, etc) at NO COST to them. No young person will be denied these opportunities because someone can’t afford to bring them to that student!!!!! 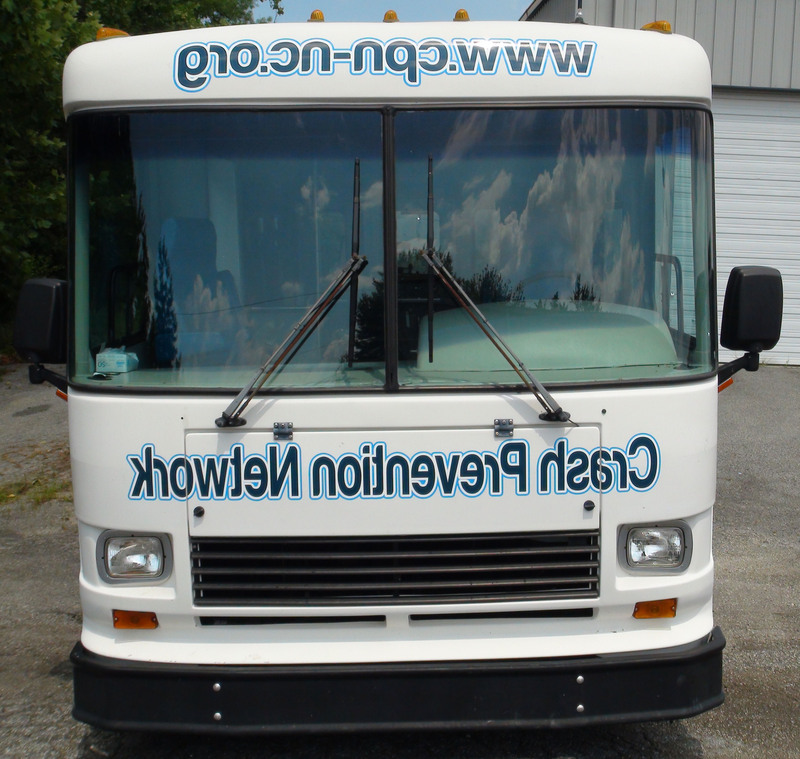 *If you would like the Crash Prevention Network Bus to visit your church, school or community event, please email Mike Jackson at info@cpn-nc.org or call 336-316-1200. Notice how the lettering on the front of the bus is backwards so it can be read clearly in the rear view mirror of the person in front of it!